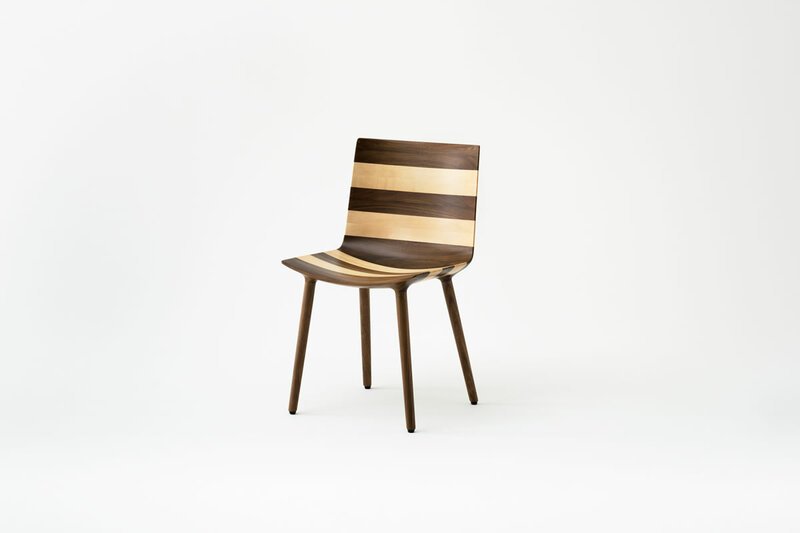 Designed by Claesson Koivisto Rune for japanese manufacturer Matsuso T the Wafer chair combines alternating light and dark wood stripes of walnut and maple. Presented earlier this year at imm cologne 2015 the chair and collection is simply stunning. Technically challenging to manufacture Matsuso T has seamlessly blended the sections together into a smooth constant shape where the flat planes morph perfectly with the leg assembly creating stunning geometry. The primary theme theme of the Wafer chair and coordinating collection is based on the combination of contrasting light and dark wood which create a bold graphical statement. The name Wafer refers to both the visual effect and the wafer thin edges of each piece. 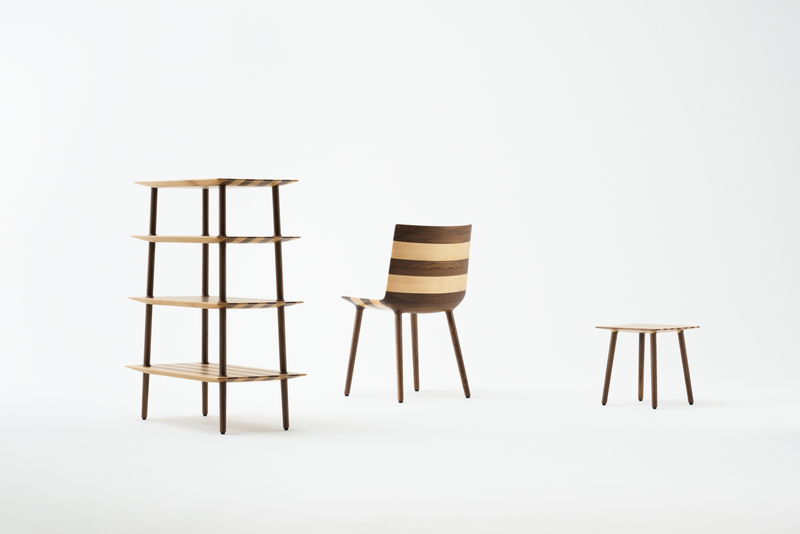 The Wafer chair has the broadest selection of stripes of all three of the pieces. 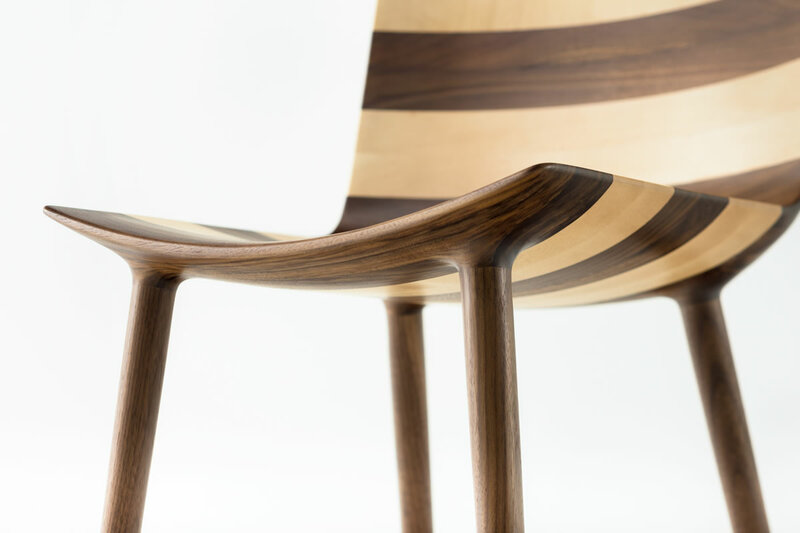 It’s wafer thin edges taper inward to the main section which is substantially thicker, yet that thickness is hidden by the overall shape of the chair creating yet another optical illusion. Wafer truly shows off Matsuso T’s manufacturing prowess. 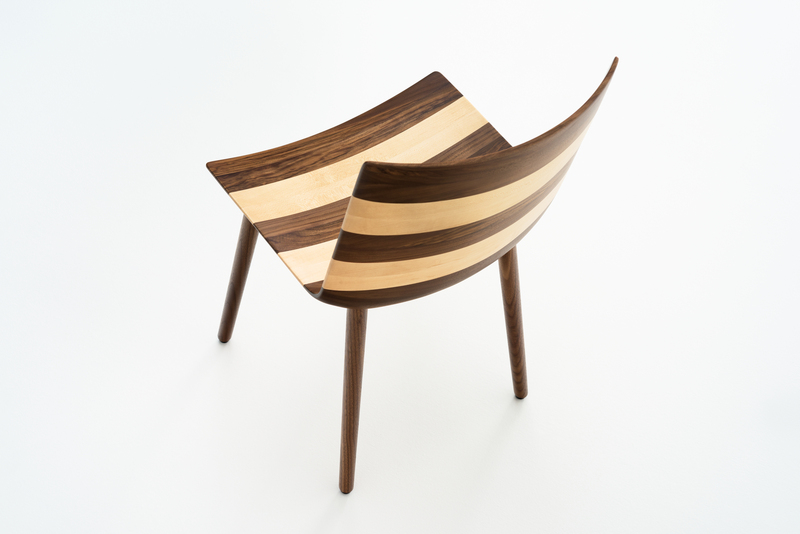 The chair is produced by a combination of 3-d cutting and hand finishing. Each piece is solid wood, in order to achieve the quality that Matsuso T requires and produce the optical effect the stripes create. Frankly I don’t think you could create something with these kinds of lines and geometry using MDF and veneer, at least not with this striking of an effect. Posted in Design and Art, Furniture and tagged Claesson Koivisto Rune, Design, Furniture Design, Industrial Design, Manufacturing Process, Matsuso T, Wafer, Wood Working on March 13, 2015 by Author. Carlos Alberto’s Wooden Vespa “Daniela”. A couple of months back I posted about a steam punk Vespa that was a visual treat. 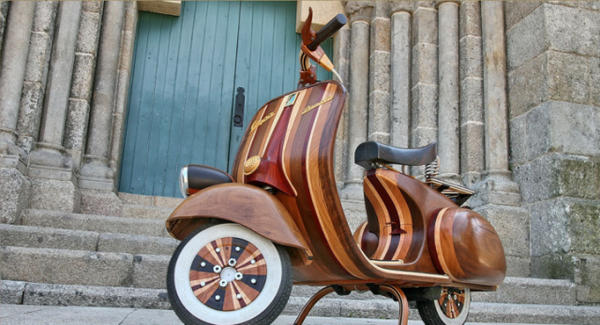 Today, I’m posting about the wooden Vespa created by Portuguese carpenter Carlos Alberto. His hand crafted creation is named “Vespa Daniela”, and it is completely hand-crafted from a variety of woods all the way down to the wooden roulette wheels. Carlos took what looks like a late 1950’s Primavera that was abandoned in his garage and used it as the frame work to build this masterpiece of craftsmanship. Designed for his daughter Daniela, the entire metal structure was replaced with wooden forms leaving only the original 50cc engine and suspension. Posted in Design and Art and tagged Carlos Alberto, Carpentry, Craft, Portugul, Scooter, Vespa, Vespa Daniela, Vespa Primavera, Wood Working, Wooden Vespa on October 18, 2013 by Author. Friday Inspiration. “Josh Vogel”, by The Scout. Here is a little Friday inspiration from The Scout. This is a 5 plus minute short film about Josh Vogel, a woodworker from Kingston, New York. This film is as much about who Josh Vogel is, as it is about his philosophy on the idea that turning wood is a reductive process that in essence is a step back in time. As the wood loses a layer, the years are taken away. This abstract idea is a constant that Josh is very aware whenever his chisel touches the bark and steady peels away the rings of time. The film has an absolutely wonderful look and pace to it. One that matches Vogel’s affect and demeanor so well. Posted in Design and Art, Media and Mediums, Motion Graphics, Video and Motion Graphics and tagged Cinematography, Design, Film, Josh Vogel, Lathe Turned Wood, Nature, Scout Magazine, Story Telling, The Scout, Wood Working on March 30, 2012 by Author.